The Rebel Sweetheart. 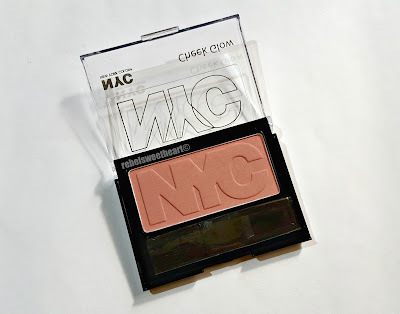 : Spotlight | NYC Cheek Glow Powder Blush + NYC Ultra Last Lipwear. Spotlight | NYC Cheek Glow Powder Blush + NYC Ultra Last Lipwear. I hope you had a meaningful, if not blessed, Holy Week spent with family and loved ones. I know most of you either went on an out-of-town (country, even) trip, or spent the long weekend back in the provinces. 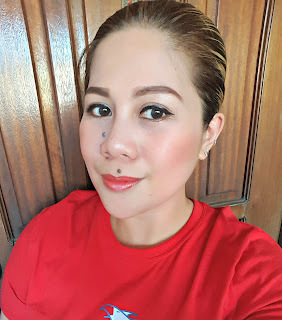 As for me, I spent the most part of the Holy Week at home, de-cluttering and doing household chores. I did a spring cleaning of my makeup stash, too - getting rid of the old, almost expired makeup, and finally opening some of the new, unused ones. That includes this blush and lipstick from New York Color (NYC), which takes the spotlight on my blog today. 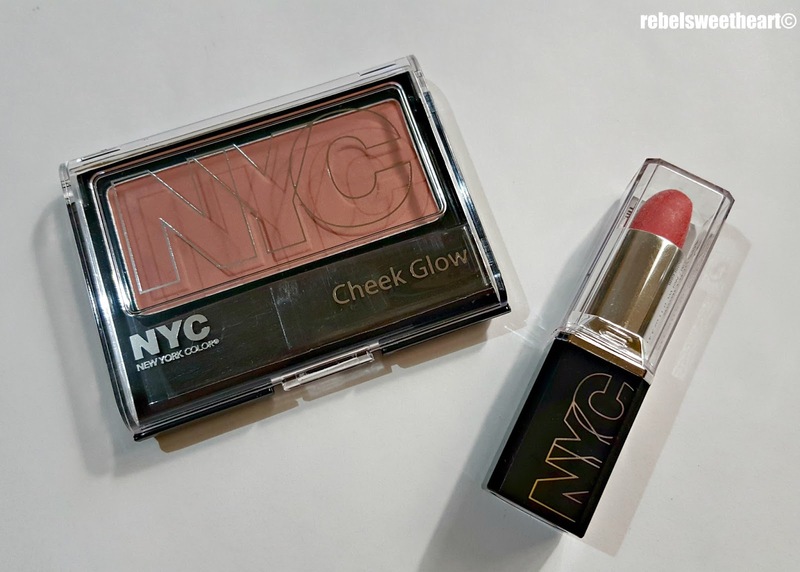 NYC Cheek Glow + Lipwear. If my memory serves me right, I got this as gifts from my favorite cousin, Jeanie, who loves makeup as much as I do. 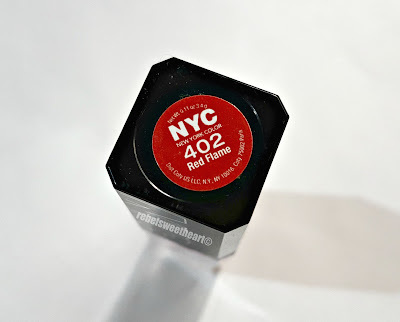 Now just to give you a background of NYC, it's a drugstore makeup brand which started as a relatively small company until they were bought by Coty, one of the world's leading beauty companies, in 2007. The brand is known for their bargain-basement prices, with some products selling for as low as $0.99. 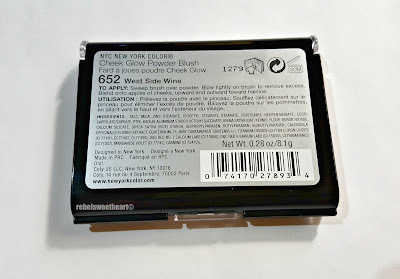 NYC Cheek Glow Powder Blush in West Side Wine. 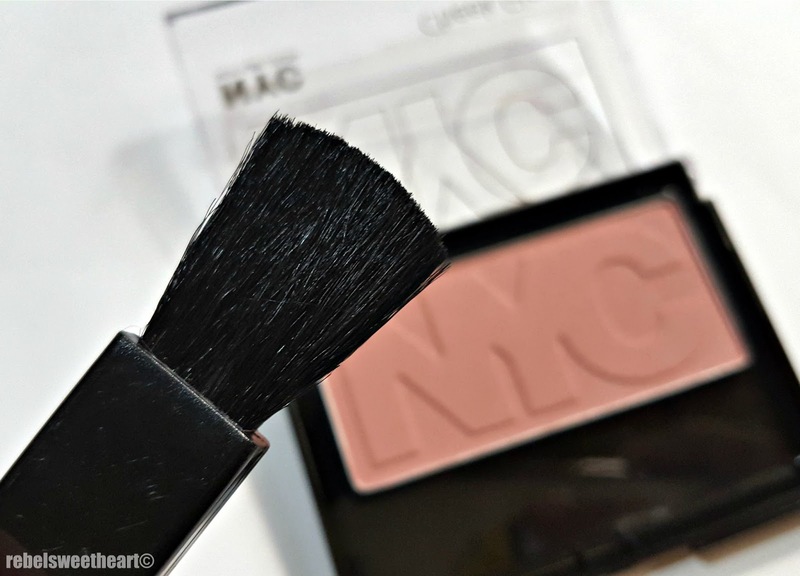 The NYC Cheek Glow Powder Blush is a sheer matte blush that gives your cheeks a natural flush of color. It comes in four shades, and sells for $2.99 (around Php 150) each. The shade that I own is West Side Wine. Product details at the back of the case. As you can see, the blush looks a bit brownish in the pan, and I was expecting it to be plum-y when swatched, as the its name implies. Alas, both the color and the name are pretty misleading. On my skin, it's a dusty shade of pink that appears quite sheer on first swipe. 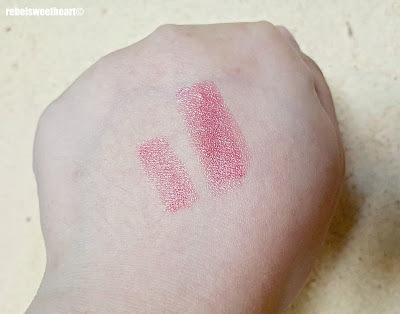 The color is easily buildable, though, and gives the cheeks a nice, pinkish glow after a few swipes. It comes with a small, almost flimsy brush which I chose not to use. The blush comes with a tiny brush which I chose not to use because it's too flimsy and doesn't pick up color. 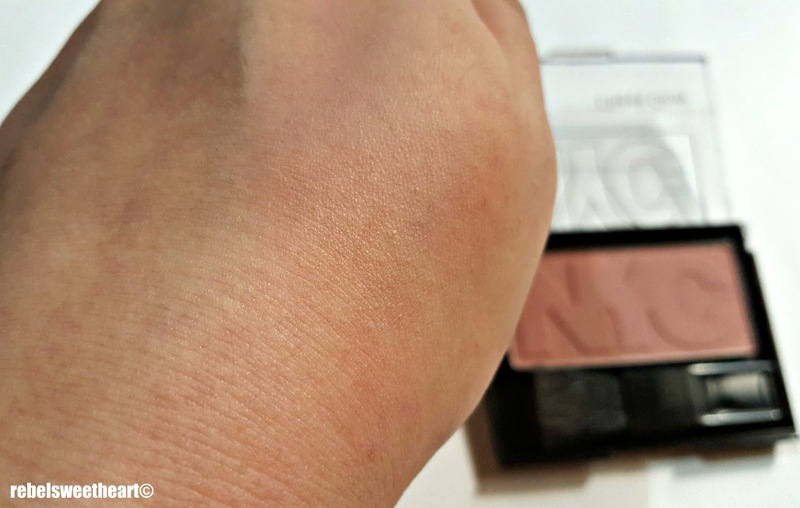 On the contrary, I had no trouble using my good ol' kabuki brush with this blush. With its soft texture, the color easily clung on to the bristles of my brush and I had no trouble blending it on my cheeks. West Side Wine, indoor lighting. 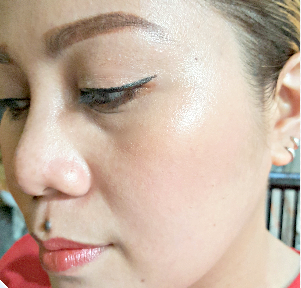 Wear-time is pretty decent - around five or six hours at the most - but you might find yourself doing touch-ups sooner if you're out and about and perspiring a lot in this hot and humid Philippine weather. West Side Wine under natural light. 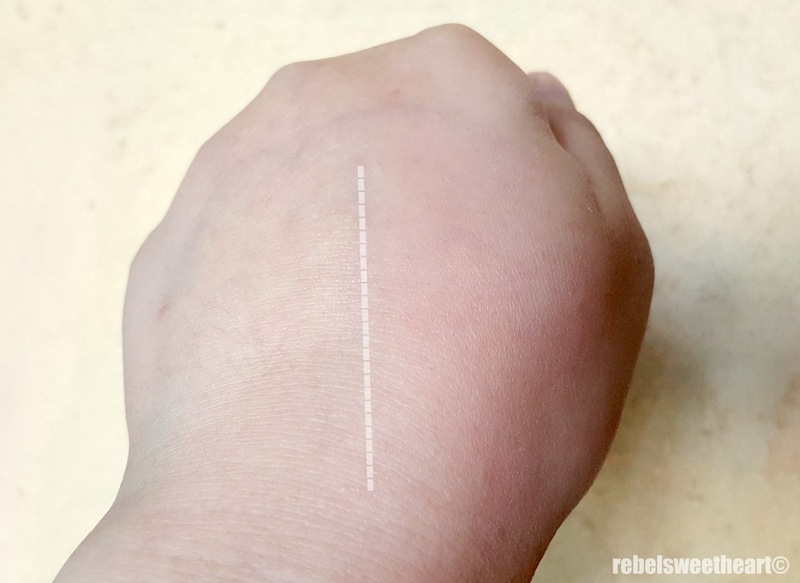 The sheer pigmentation might be a disappointment to those with fair or light skin, but sheer can actually be a good thing. At least you don't have to worry about 'over-blushing' or looking like a clown. NYC Ultra Last Lip Wear in Red Flame. Now on to the next product. This is the NYC Ultra Last Lip Wear, a long-wearing lipstick with rich color, long-lasting shine, and silky finish. The labels on the side double as tamper-proof seals. 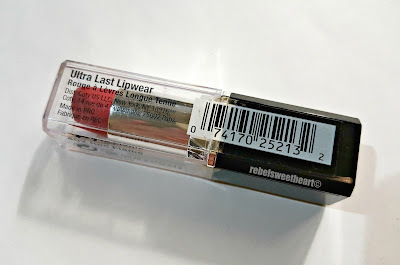 The Ultra Last lipsticks used to sell for $1.99 (around Php 100) a pop, with 20 shades to choose from. 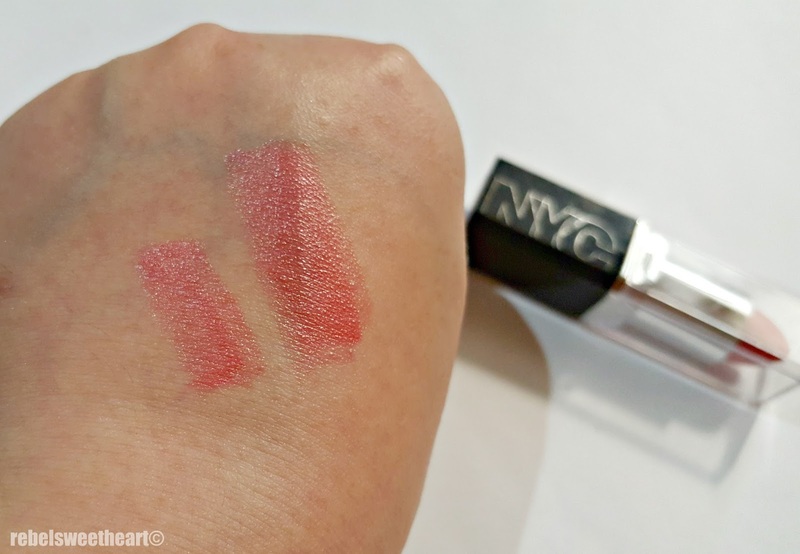 The line is now discontinued, and has been replaced by the 'Expert Last Lip Color' line. Shade indicated at the bottom. 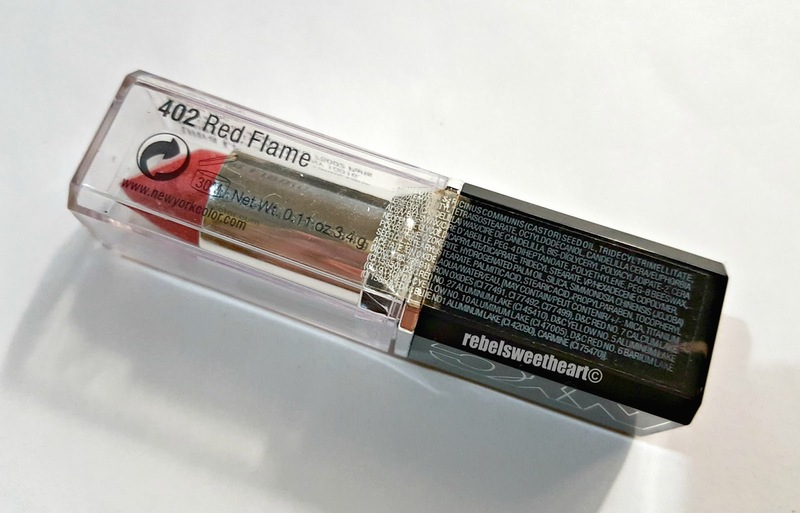 The lipstick comes in a rather flimsy black plastic case with transparent cap. The lipstick does not retract completely inside the bullet, which allows you to identify the color easily. However, there is a risk of nicking the lipstick every time you remove and replace the cap, so you need to be extra careful. Red Flame is a coral red shade, which appears slightly peachy when applied with a single swipe. The color is buildable, and you can achieve a brighter shade of red with three swipes. Red Flame, indoor lighting. Swiped once on the left, thrice on the right. Before I got into this matte lipstick craze, shiny, shimmery lipsticks were my favorite and this product hit that category spot-on. It's nicely pigmented, has a smooth and creamy texture, and a non-drying formula which makes it very comfortable to wear. Under natural light. Swiped once on the left, thrice on the right. 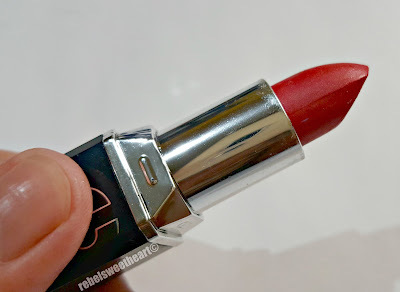 True to its name, this lipstick is long-wearing - around six to eight hours at the most. If you're a fan of shimmery, frosted lipsticks, this would come as a steal considering its quality vis-a-vis the dirt-cheap price. West Side Wine on my cheeks. LIPS: NYC Ultra Last Lipwear in Red Flame. I've never heard of this brand before. I do like the color of the lipstick. I agree about the blush being sheer, it's better to have a light blush than to have one that looks overdone. These are perfect to have if you're going for the no make-up look. It's nice that it's light and not as pigmented, perfect for everyday wear! i love NYC products! they are all nice especially the lippies's! this is a very nice review of the glow powder gonna check this out! I like that the blush is a sheer matte. It looks really great on you! LOVE this make-up! It's so flattering on you! It's incredible to hear about NYC's humble beginnings as a drugstore product. What great cosmetics! This is such a good brand. It is really a good product! I really like this brand.